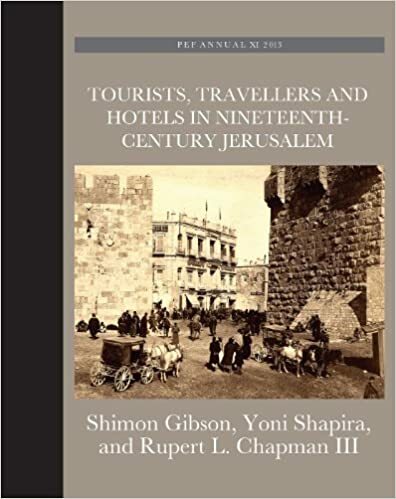 Tourists, Travellers and Hotels in Nineteenth-Century Jerusalem, Palestine Exploration Fund Annual, vol. 11, by Shimon Gibson, Yoni Shapira, and Rupert L. Chapman III. Leeds, UK: Maney Publishing, 2013. 304 pages. Appendices to p. 265. Index to p. 286. $78.00 cloth.